George Kotaka is a 4th Degree Black Belt who has been competing in karate since he was 3 years old. He has won the Men’s Black-Belt Kumite at the All-Hawaii State Karate Championship Tournament 12 of the 13 years he competed. He has probably won more karate tournaments in the State of Hawaii than anyone ever, even surpassing Thomas Asing of IKF fame who reigned in the 70’s and 80’s. 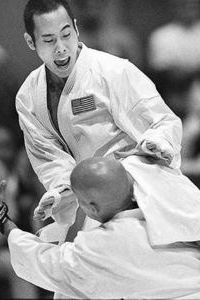 He was one of three Americans to win gold in the men’s kumite. He has become a cornerstone of the US National Team. Kotaka has a bachelor’s degree in business management from the University of Hawaii. 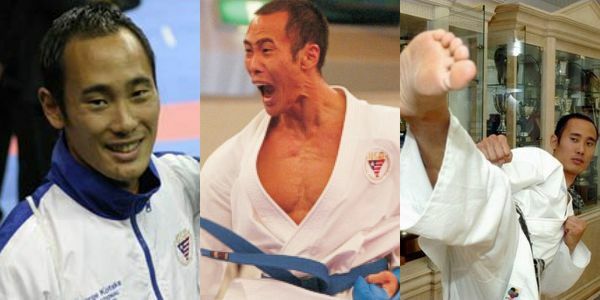 He currently teaches at the International Karate Federation owned by his father, Chuzo Kotaka, who was the 1962 All-Japan Champion.